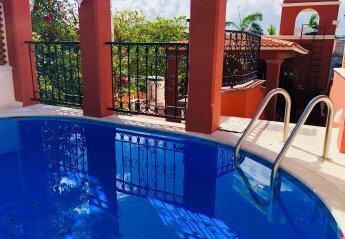 Found 8 holiday rentals in Yucatan Peninsula. This architect Villa consists of 4 large bedrooms all with their own washroom. Large open concept living room, dining area and kitchen with sculptured walls and high traditional ceilings. 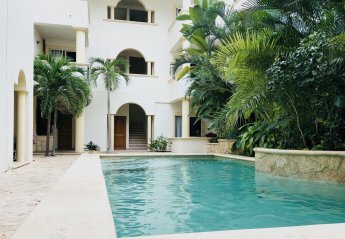 Beautiful modern colonial style house, has 4 bedrooms with whirlpool, pool with terrace and bar, 5 bathrooms, on the ground floor a second bar with kitchen area, very comfortable and structured house. Turtle Hideaway is located on the Mayan Riviera 20 minutes south of the Cancun airport, 10 minutes south of Puerto Morelos and about 20 minutes north of Playa Del Carmen. It is tucked away near a very beautiful and remote beach. Our beautiful condo is located in about the middle of the complex. It is close to the pools, the beach and the grocery store on the complex. The complex is wheelchair friendly., altho our condo is two levels, with 3 bedrm and 2 baths on ground floor. Villas Nizuc is a 32 unit beachfront condominium right in the Hotel Zone of Cancun. 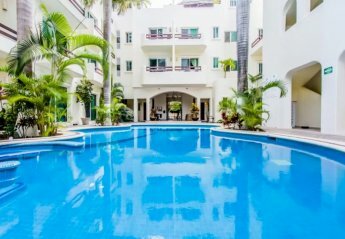 It is ideal for families, up to 3 couples or adult friends who want to stay in a large, completely furnished & equipped condo with our own maid, security, etc. 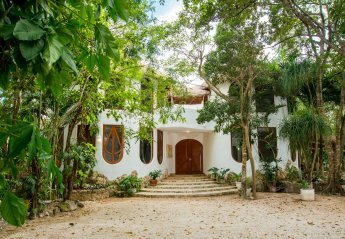 We found 8 holiday rentals in Yucatan Peninsula.